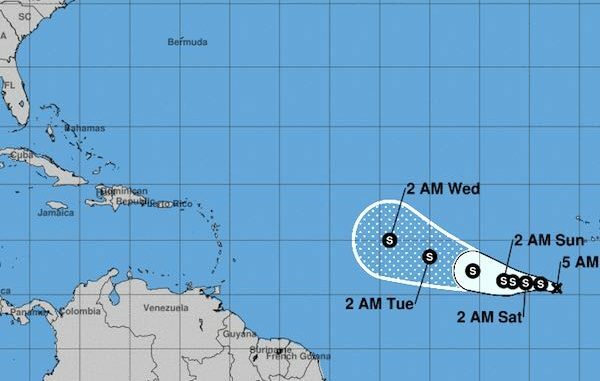 SEBASTIAN – It’s still too early for Tropical Depression Fourteen spaghetti models, but its current track is aimed at Sebastian and Vero Beach even though it could just fall apart in the Atlantic, the National Hurrican Center said. The tropical depression is no threat for Sebastian and Vero Beach at this time as it moves westward. We also have no idea where it might be going as we monitor the storm. “The NHC forecast calls for gradual intensification during the next 3 days. However, the global models (primarily the GFS and the ECMWF) develop a large upper-level trough over the central Atlantic which will bring high shear over the cyclone by day 4. 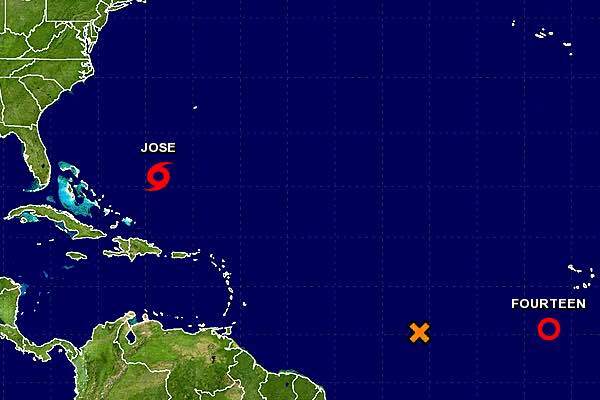 This should result in weakening as indicated in the forecast,” the National Hurricane Center said. The depression is moving toward the west near 15 mph, and this motion is expected to continue during the next couple of days. Fourteen has is a small storm with maximum sustained winds of 35 mph. Tropical Depression Fourteen is forecast to become a Tropical Storm later today or tomorrow. There are a few people in Sebastian and Vero Beach worried about this storm, but the National Hurricane Center expects it to weaken by next week.